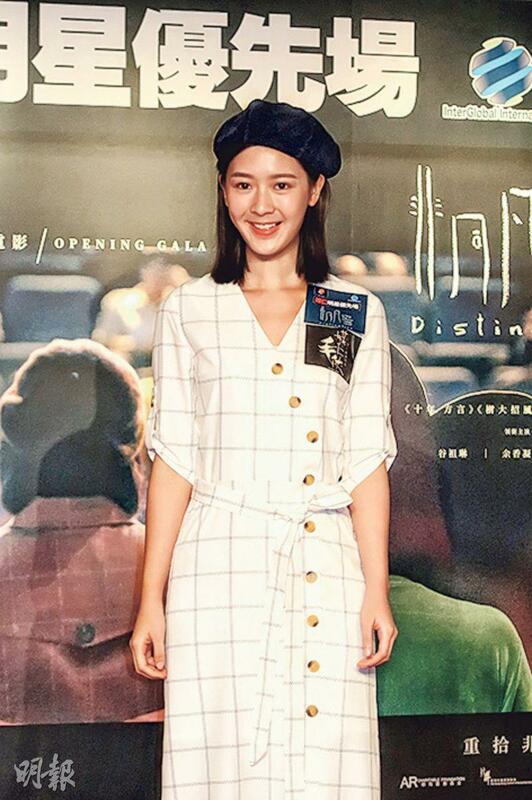 Jennifer Yu Heung Yi, Kaki Shum Ka Kei, director Jevons Au Man Kit two nights ago attended the film DISTINCTION (FEI TUNG FAN HEUNG) advanced screening. Yu Heung Yi said that in the film he and Kaki Shum played secondary school students and was reminded her own rebellious period in elementary school. She said, "Mama was working so I would sneak out to play. I got my sister to lie as I told her to say I was asleep; finally in secondary school I started to study." She pointed out that her mother was considered open minded as she did not object to her having a boyfriend in school. She said, "My first love was in form 3!" Yu Heung Yi said that she sold burgers for a summer job. Kaki Shum revealed that at 14 he already made take out deliveries on a bicycle for pocket money.